"Together we can solve hunger" is the theme of Hunger Action Month in September, supported by the Citizens Bank Foundation. Help spread the word about hunger and wear orange as part of a nationwide effort on Thursday, September 5! Enrollment in SNAP (food stamps) is at an all time high. While the number of unemployed workers has declined, the number of unemployed who no longer receive unemployment benefits has increased. 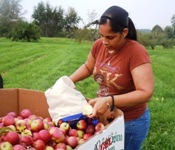 Help glean (pick and sort) fresh produce at local farms and orchards for distribution to many food assistance programs in our six-county service area. 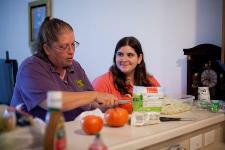 Need help finding a summer feeding program? There's still a few weeks left of school summer vacation. Click here to find a summer feeding site near you.